1stGen.org • View topic - Cooling system problem? So, a few months ago I got a low mileage 1990 D250 with a Cummins and auto transmission. I haven't driven it much until recently and I started to notice some odd cooling system behavior. Under normal driving, the temp gauge sits on the 2nd mark in the normal range, as shown in the picture below. That's probably fine, but when the truck is coming up to temp, it overshoots that mark by 1/2-3/4 of a section (needle sits straight down or slightly hotter) and then it looks like the coolant starts flowing to the radiator all of a sudden and it gets cold again (almost coming down to the 1st mark) within a few seconds. I noticed it was also spraying coolant out of the overflow tank, though somehow the radiator was staying full. The PO had a new radiator put in at some point and that was capping the inlet - it wasn't removed before the install, the upper hose was just clamped over it. Anyways, I also pulled the lower and didn't find anything on the radiator outlet or in the lower hose. Threw the new thermostat in and drove it to work today - it's doing the same thing (though it didn't spray any coolant out of the overflow). 1) any thoughts on the coolant getting hotter than normal and then coming down in temp quickly? 2) if there was a cap on the radiator outlet and it got sucked into the motor...how the would you go about looking for it? I'm really nervous that it got sucked into the motor and could possibly be blocking something. I've ordered a water pump and new hoses and am planning on pulling the radiator out and taking care of the KDP anyways, so I can go poking around some more. Someone did a great job. Gauge swings are common on these trucks, but not so much if you use a Cummins 'stat. The spray from the overflow may have been caused by the piece you took out restricting flow until it built up pressure. The lower hose goes on a housing that is removable, so you can check there for a problem. Water makes a 90* turn and goes into the block there. 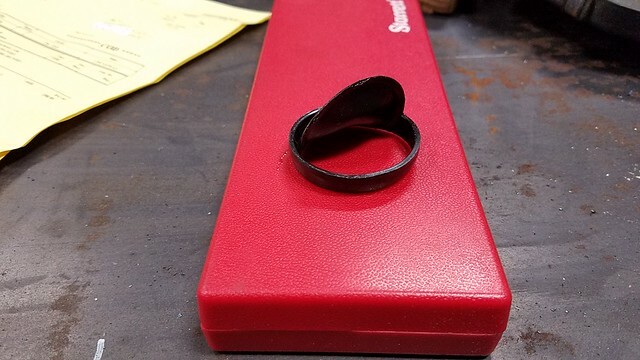 The seal is an o-ring, not a gasket, so you might want to get one before you take it apart. Your temperature swing seems normal to me. 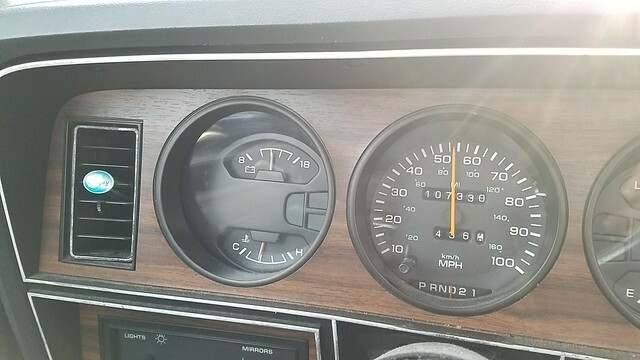 My truck runs about dead center of the gauge, but when coming up to temps it will run just over the 3rd mark then drop back to center and stay there. Does you gauge keep swinging after it has reached operating temperature? The aftermarket T-stats will just keep swinging up and down, the cummins units don't seem to have that issue. Thanks for the info on the swinging gauges. Mine doesn't swing much once it's reached operating temp - maybe 1/4-1/3 of a section in total, dropping when I idle to a stop, raising when I climb a hill, but not much. I drove the truck to work again today and noticed the overflow tank is empty again, though I didn't see any coolant all over the passenger side of the engine bay - maybe I had an air pocket in the coolant. I'll keep monitoring it while I wait for parts to arrive. the level will drop, after you have refilled and operated the engine long enough to heat and cool.